A visit to the dentist can be a scary process for kids. Grown-ups they aren’t familiar with, semi-invasive mouth exams and the prospect of cavities can all be very unsettling. We at Dr. Surya & Associates understand this and take every step to ensure comfort and optimal health in our dentistry for children. Our friendly, and devoted staff will welcome your kids with open arms and assure them that every step of the process is going to be okay. They will enjoy choosing their favourite fluoride flavour like marshmallow or raspberry and walk away with a loot bag that includes a toothbrush in their favourite colour. 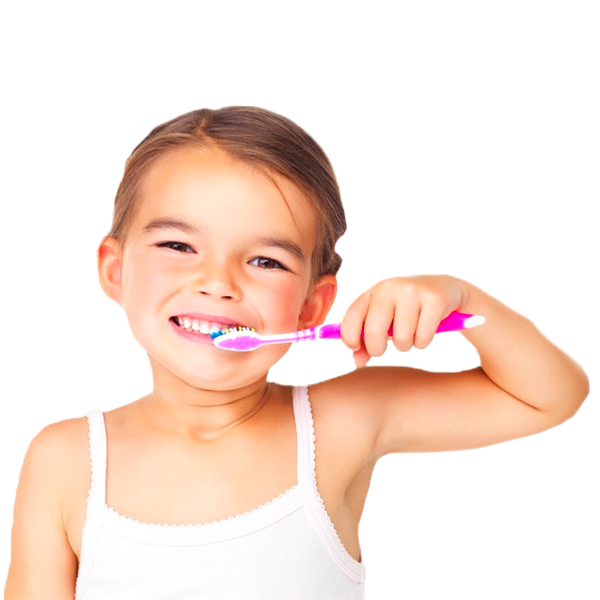 Developing good oral health habits at an early age is so important, and for this to occur, dentistry for children must be done with the utmost care and attention. You can always trust us to take good care of your little ones, and make them feel safe and happy. For years and years, Burlington parents have brought their children to our office with total confidence that the experience will be positive with minimal pain. As a kids dentist Burlington can count on, Dr. Surya & Associates are mindful that one bad experience at the dentist’s office can result in difficult fears that may last throughout childhood and beyond. All of our treatment and care is geared towards making sure dental visits are a fun part of life that your kids will even look forward to. As many parents know, childhood is a time when dental complications can occur. If these go untreated, lifelong oral health ailments can develop. Our team will diligently assess all components of oral health from jaw alignment to tooth spacing to gum tissue. Any potential orthodontic needs will be foreseen well in advance, and cavities promptly treated. Through the years, we have cared for thousands of children, making us experts in Burlington children’s dental care. If you are looking for a kids dentist Burlington has trusted for many years, we would be delighted to see your little ones for an appointment. We believe that Children’s dental health occurs most effectively when both parents and children are patients at the same clinic. If your kids see mommy or daddy being treated by the same dentist they are, all of a sudden the process seems far more inviting. We provide children’s family dentistry that will keep everyone smiling, and are always accepting new patients. Pearly whites for the whole family!